Our Alabama genealogists are available to research on location. They will find and analyze the best records available to further your family history research. They can search the archives and libraries in Alabama, as well as help you with other special requests. The Alabama Department of Archives and History (ADAH) is an excellent resource for information about Alabama ancestors. The archive’s collection of federal and state censuses date back to pre-statehood, with the most recent census dated at 1950. Researchers can find extensive newspaper collection dates back to 1811 and numerous records including county deeds, wills, and other probate and land records. Their African American records cover the Reconstruction period to the present day. The archive also holds Native American, immigration and naturalization records. View this brochure of the list of holdings maintained by the archive to better assess what our researchers can access for you at ADAH. Documents related to the Civil War. 6,000 volumes published from the earliest days of Secession to the present. A Rare Book Collection including titles from seventeenth and eighteenth century France and Britain, including American books focusing on specific materials relating to New Orleans and Louisiana. Documents about the French Revolution. Sheet music, family papers and manuscripts, photos and maps are also held here. The Birmingham Public Library’s Southern History Department focuses on gathering information about every facet of Southern life and culture. The main focus of the department is on Birmingham, Jefferson County, and the surrounding area. Some of the materials here include government records, business records, maps, photographs, letters, diaries, and scrapbooks. Our Alabama genealogists can access any of these records for you on location at the Birmingham library. The Florence-Lauderdale Public Library’s records emphasize Lauderdale and northwest Alabama and records of the surrounding counties of Northeast Mississippi and southern-middle Tennessee. The probate court records cover the years 1820 to 1927. The library’s local newspaper collection consists of issues from 1824 to the present day. The library also is home to sources about and from the Civil War period. The Mobile Municipal Archives’ earliest records are dated from the city’s creation as a municipality by the Mississippi territory in 1814. At present, the archive’s holdings number at 12,000 cubic feet. These include minutes, registered voters, poll tax books and petitions. The archive holds Mobile newspapers (1819-present) and local city directories (1837-present). Although the original records of Mobile’s colonial history from 1702 to 1813 are housed principally in London, Paris, Sevilla and Madrid, there are records of early settlers in these archive. The archive is known as the premier library for Gulf Coast settlers from Louisiana to Florida. The Huntsville-Madison County Public Library is known for having one of the best genealogical collections of Alabama families. Genealogical material is housed in the Heritage Collection and also holds information about areas east of the Mississippi River. The library’s Microfilm Collection includes an almost complete run of The Huntsville Times from 1928 – 2015. There are also many early Huntsville newspapers, including The Huntsville Democrat, Southern Advocate, and the Mercury. The Photograph Collection is composed of over 25,000 photographic prints and originals that document life in the Huntsville area from its early history to the modern day. The Samford University Library’s Special Collections Department is the repository of Alabama Genealogical Society. The library as a whole is known as one of the finest collections in the South and contains original and secondary sources primarily for Alabama and the southeast. Our Alabama genealogists can also find documents from international sources at this library, including an Irish manuscript collection, as well as local histories of Cork and Kerry Counties. The library also has an exceptionally strong collection of Baptist records including congregational and mission records, local histories, genealogical periodicals, and newspapers. 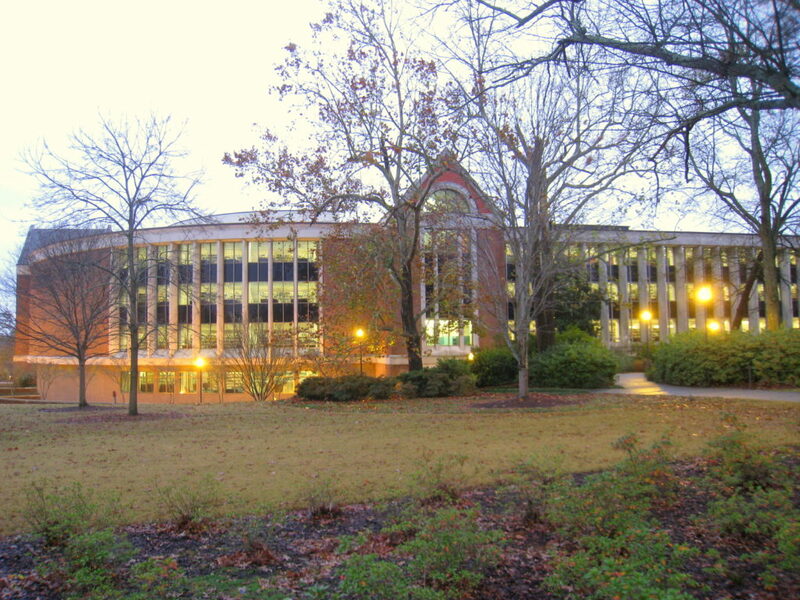 The Wallace State Community College Library’s collection is centered on Alabama and the neighboring states. The library is home to documents about the Old South, Kentucky, the Civil War and the Cherokee Tribe. The Wallace State College Library was the first non-Church of Jesus Christ of Latter-Day Saints library allowed to borrow directly from the holdings of the Genealogical Society of Utah. The records originally from the Genealogical Society of Utah number at three million records and books from around the world. The Auburn University Libraries holds personal manuscripts and photographs. It has a collection of rare books and institutional records. The library is home to select artifacts in support of research, teaching and outreach missions of Auburn University. Church records and the information they carry often depend on the denomination and whoever was in charge of keeping religious records for that group. Alabama has a rich religious history. In the 1700s Roman Catholicism was the main religion in the state, but a century later Baptist, Methodist, and Presbyterian churches were the largest religious groups. The Special Collections Library at the Samford University Library contains information on several religious denominations in the state, but they specialize in records from Baptist churches. It contains microfilmed records of the American Missionary Association, which was an interdenominational missionary society that focused on abolitionist principles and formed in 1846. Our Alabama genealogists specialize in researching several types of documentation and are not limited to the list above. For more information or specific inquiries about our Alabama genealogists, please feel free to contact us.